I’m grateful to be given the opportunity to serve as President of ICF Malaysia for a 2-year term (2018 - 2020). I accepted this responsibility with an open heart. I’m very happy to observe that for this term, there were volunteers who nominated themselves and came forward, ready to serve. With the Executive Committee in place now, we are ready to roll. In my short acceptance speech, I mentioned that I’d like to create more coaching awareness programs by having the International Coaching Week (ICW) type of Events every month instead of once a year for one whole week. We’d also reach out to other places such as Penang, Ipoh, Johore, Kota Bahru, Kuantan & East Malaysia. I’d also be introducing Business Building or Building Your Coaching Practice activities to help members ramp up their coaching practice and business. We will also kick-off IGNITE, a program driven by ICF Foundation, to offer pro-bono coaching to NGO’s & the Education Sector. New Coaches will benefit by clocking coaching hours and practice. Experience members can come in and give. I’d like to see more collaboration with other Organizations to execute activities that will benefit members. Over the next 6 months, the ICF Malaysia team would like to engage with as many members as we can on a 1-on-1 basis, asking the question “As an ICF member, what are the 3 things you would like to see ICF Malaysia implement to support you in your Coaching Journey”. And so far, we’ve received great feedback for us to work on. Thank you Coaches. I’d like to empower my Executive Committee to deliver the programs we plan for in a fast & effective manner. Each of us need to understand our role and how we can work together to achieve greater success. And I’d like to thank the ICF Malaysia’s Executive Committee of 2016-2018 under Sam Kurian who has two fantastic years including hosting the biggest International Coaching & Leadership Summit 2017 and two very successful International Coaching Week 2017 & 2018. It is with great honour and humility I take on this appointment as your incoming President - ICF Malaysia Charter Chapter for Term 2016-18. The mission and vision of the ICF really resonates with me. I am enthusiastically looking forward together with my fellow ICF Malaysia board to support you to promote the advancement, credentialing and development of professional coaching in Malaysia and beyond. We want to build more collaborative relationships, strategic partners and new innovative platforms. This is to enable each of you, as members of ICF Malaysia to empower individuals, organisations, and our beloved country towards positive, sustainable change with the knowledge, skills and practice of coaching! I am of the strong believe that there has never been a greater opportunity for professional coaching such as now and the need for ICF credentialed coaches to step up to the plate and make their impact felt. I know many of you are already making a difference in the lifes of your coachee’s and the impact it has on organisations and communities where you are being engaged as professional coaches. Being a part of ICF Malaysia gives us a worldwide community where we can contribute, learn and grow with ICF. I really appreciate each of you, some of whom I have known through the chapter over the years and some of you, the leadership team and I look forward to meeting soon in our monthly chapter meetings. I urge those who are yet an ICF member to become one and with our current members to invest in your own personal and professional development through our monthly chapter meetings, webinars and the events we are planning for you. It is also our hope that many of you would want to take up leadership positions in the near future. I would also like to thank the leadership - contribution of our Immediate Past President Florence Lam and the outgoing board for doing an outstanding work in putting in place processes, procedures and responding to the needs of you our valued members. As your President elect, together with the leadership team, our goal is to build on the successes and grow ICF Malaysia to greater heights. Thank you all so much for such a rewarding and unique year. It has been an awesome journey for all of us, jam-packed with loads of learning and success, and sometimes failures and learnings, too. I have truly enjoyed serving you as President of ICF Malaysia, with a lot of members providing active contributions. I must also admit that being in this leadership role has been a challenging task. And it has been pioneering work, with boldly experimenting, carving and creating new pathways for others to walk on. To me, it is a labour of love! Together with a dedicated and committed Awesome Leadership Team, we have contributed a great deal of our energy, time, skills and spirit to develop and grow ICF Malaysia. This would of course not have been possible without members’ support and motivation! As a result, we reaped the harvest of seeing ICF Malaysia’s foundation systems and processes organized and strengthened for next phase of growth, being the first ICF charter chapter in South East Asia to launch virtual education series and having a role model website admired by regional chapters, to name a few. Importantly too, with a constant eye on inflows and expenses, we are financially in good shape for the long-term health of our chapter. I sincerely thank our Leadership Team – Vice President Samuel Kurian, Honorary Secretary Chong Sook Leng, Honorary Treasurer Pamela Chin, Communications Director Rita Shah, Membership Director Faizah Bazid, Programs Director Capt Dr Ooi and Co-Event Director Jean-Francois Jadin for enthusiastically doing a great job of meeting the mandate of our chapter and at the same time be a very active part of our community. It is a real pleasure and delight to work with you. I also express my heartfelt gratitude to our Auditors Thomas Chen and Jo Anne Ng for their valuable insights and thoroughness in auditing ICF Malaysia’s financial accounts. And my heartfelt thanks to our Immediate Past President, Leong Wai Kheong for standing by the Leadership Team and providing mentorship. I deeply appreciate ICF Global Director of Chapter Development, Fiona Toy and ICF Asia Pacific Regional Service Centre Manager, Felix Lee for their unconditional support, guidance and fast turn-around in responding to our needs. There is a lot of energy within us, and I am excited to see the incoming committee under the leadership of Samuel Kurian taking over the reins of ICF Malaysia. I am sure you will continue the great development and growth of ICF Malaysia. Once again a big thank you to all members, guests and contributors to ICF Malaysia growth for the many beautiful moments, laughter and enriching connection: I love you, and I will continue to actively contribute as Immediate Past President for the term 2016-2018. On Saturday 11 April 2015 at 10 a.m., we held our 3rd Annual General Meeting at Starbucks, Taman Tun Dr Ismail, Kuala Lumpur. Thank you for attending the Annual General Meeting. It is indeed a great honour to be unanimously confirmed in my appointment as the President of ICF Malaysia to replace Immediate Past President Leong Wai Kheong who has resigned since 1st January 2015 due to his appointment as board member with ICF Global. We are pleased to announce that Samuel Kurian was elected as the new Vice President as I officially transitioned to my new role. Your vote of confidence is very much appreciated by me and Samuel Kurian. Special thanks to outgoing President Leong Wai Kheong for his dedication this past year to ICF Malaysia. We are delighted that he will be continuing to serve in the management committee as Immediate Past President. We are also pleased to announce that Jo Anne Ng Loo Yen has been elected to serve as Honorary Auditor to replace Trudy Goh who has since ceased to become member of ICF Global. We thank Trudy Goh for her past contribution. As your president, my priority is on how to better serve members’ needs. The management committee will renew our commitment and efforts to provide the best membership experience for you. Updates on future activities and events will be published on our website, and will also be emailed to our members. We gratefully welcome feedback and suggestions to increase positive and engaging membership experience. Please feel free to contact me or any member of the Leadership Team. Our Leadership Team is thankful for your continued support. Let us work together towards achieving a high performing chapter and creating positive change through the awareness of coaching. I wish you a wonderful day and trust that you are happy, in good health and primed for inspired actions in 2015! First things first, I am pleased and honored to take over as Acting President in 2015 as the incumbent president, Mr. Wai K Leong, MCC had to step down upon joining the ICF Global Board of Directors on January 1, 2015. 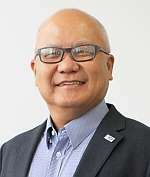 I would like to acknowledge Wai K's inspiring leadership during his 8 months as President, and pay tribute to his outstanding contribution within the coaching community as well as externally, by promoting coaching. Integrity: Upholding the highest standards for the coaching profession and our organization. Excellence: Setting and demonstrating standards of excellence for professional coaching quality and competence. Collaboration: Valuing the social connection and community building that occurs through collaborative partnership and co-creating achievement. Respect: Being inclusive and valuing the diversity and richness of our global stakeholders. We put people first, without compromising standards, policies and quality. This is a landmark year for ICF Malaysia Chapter as we celebrate our 10th anniversary. We have a lot to celebrate and look forward to in 2015. Our commitment this year is to organize more meaningful activities to benefit you, our members, and the coaching community in general. We started 2015 with a Corporate Outreach Program to share powerful workplace coaching techniques with managers from several companies. The managers also experienced one-to-one coaching with 12 of our members who volunteered their time and expertise. The event created awareness and interest in coaching, and was a success. In February, we will host our very first Connect & Celebrate Coaches Day to celebrate our Chapter’s 10th Anniversary and to recognize past Leadership Teams and loyal members. International Coaching Week (ICW) this year will be held from May 18 – 24. The Theme is "Experience Coaching". As Acting President, I appeal to you, our esteemed coaches to get involved in ICF Chapter activities, particularly in the International Coaching Week. Spread the word about coaching and the powers of coaching. Let us know what you would like our Chapter to undertake and in what ways you can help to make a positive contribution to our Chapter. We are here to serve you and the coaching community. We can only serve you better when we receive your input, feedback, bright ideas and your participation. I look forward to hearing from you, and on behalf of the Leadership Team, I thank you for your continued support and participation. Our President was elected to the ICF Global Board of Directors in late 2014 for the term 2015-2016. As Global Board member, he is required to step down from Chapter-level positions. So we bid a fond farewell to Wai K and welcome Florence, our able former Vice President to the vacated role of President. Other changes to the ICF Malaysia Leadership Team during 2014 were the stepping down of Rajiv Mathews and Cindy Duong, who were replaced respectively by Daniel Russell and Alex Tan. I wish you a wonderful day and trust that this email finds you well and in good health. I must first extend my gratitude to you for having voted me as President for ICF Malaysia Chapter for the 2014-2016 term. I am humbled by the trust given to me to steer the ship forward, to grow in strength and to position the coaching practice in Malaysia to a level of excellence and admiration it deserves. It is impossible to achieve these all by myself hence I am pleased to have the opportunity to work with my peers, the new Leadership Team, whom I humbly welcome, to make it happen. I would like to acknowledge Tessie Lim, our Immediate Past President and her team for their dedication to our chapter and the coaching community this past year. Their resolute commitment and belief in our chapter has been an inspiration. In putting the right foot forward, may I request that you write to me or to any member of the Leadership Team, any thoughts, suggestions and recommendations you may have on how coaching in the country can further be elevated in terms of its image and acceptance of its effectiveness, and how we as members can prosper through the good work that we do. Leveraging on the resources pooled together, I am certain the route to success will be a sweet one. The Leadership Team and I look forward to serving you this year, starting with our warm welcome to you at our next meeting on May 15th at 7.30pm at the Starbucks, Taman Tun Dr Ismail. Full details of this meeting will be made known to you soon. I look forward to hearing from you, and on behalf of the team, I thank you for your continued support. We will connect again soon.